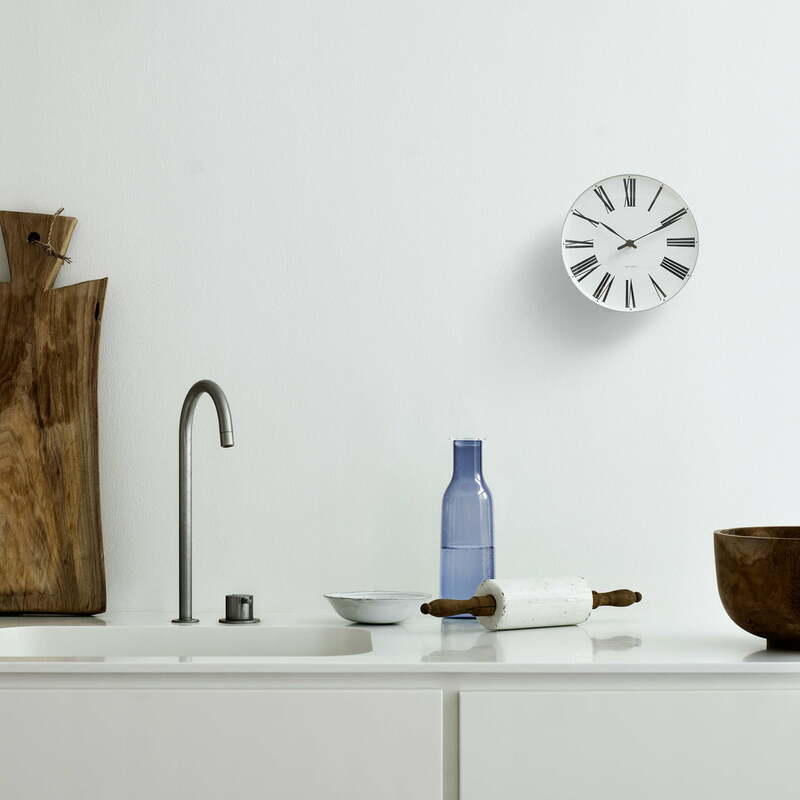 The Arne Jacobsen wall-clock-classics are back – and now also as table clocks! Arne Jacobsen is the maybe most famous Danish architect and designer. Legendary furnishing-designs made Jacobsen popular in Denmark and further away. 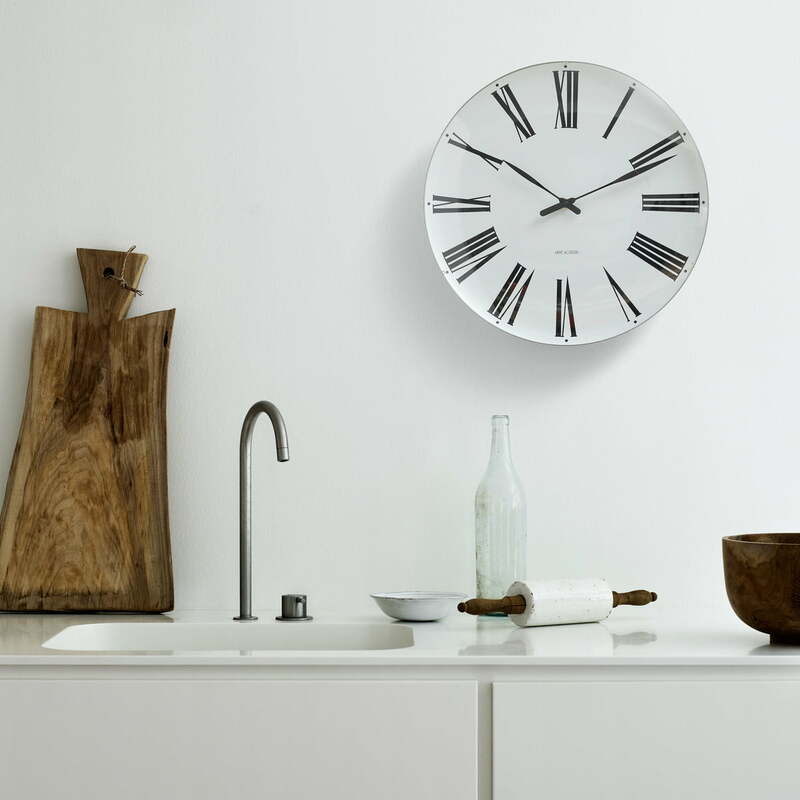 The results are three legendary clock-classics that originally ornamented Danish buildings. 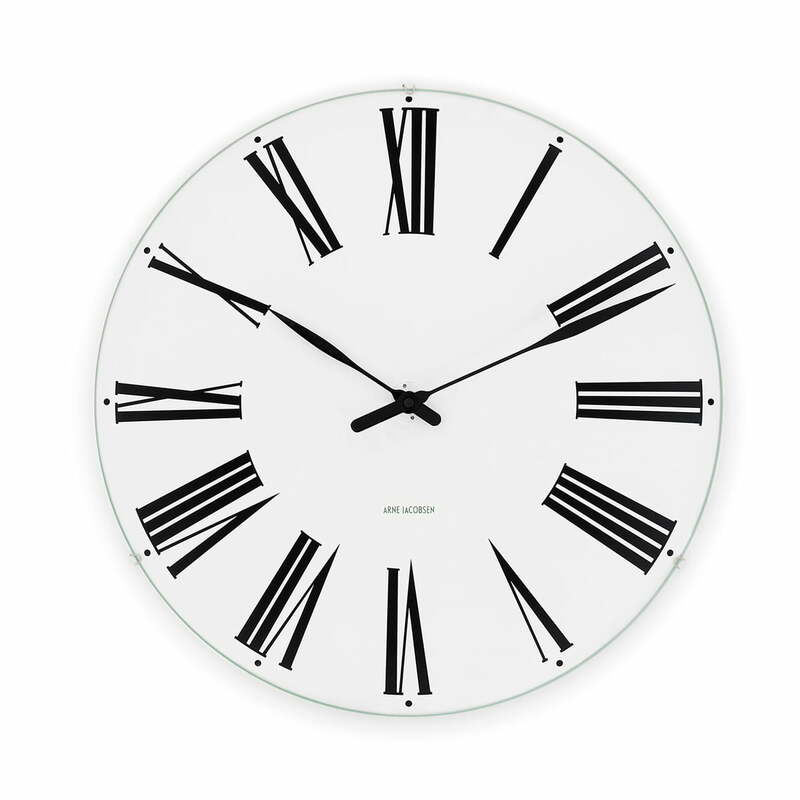 The Roman wall clock emerged as most ancient design out of the 1942. It has been designed by Arne Jacobsen for the Aarhus City Hall. The embossing Roman numbers are not responsible for the name of this clock, but also create a classic appeal. 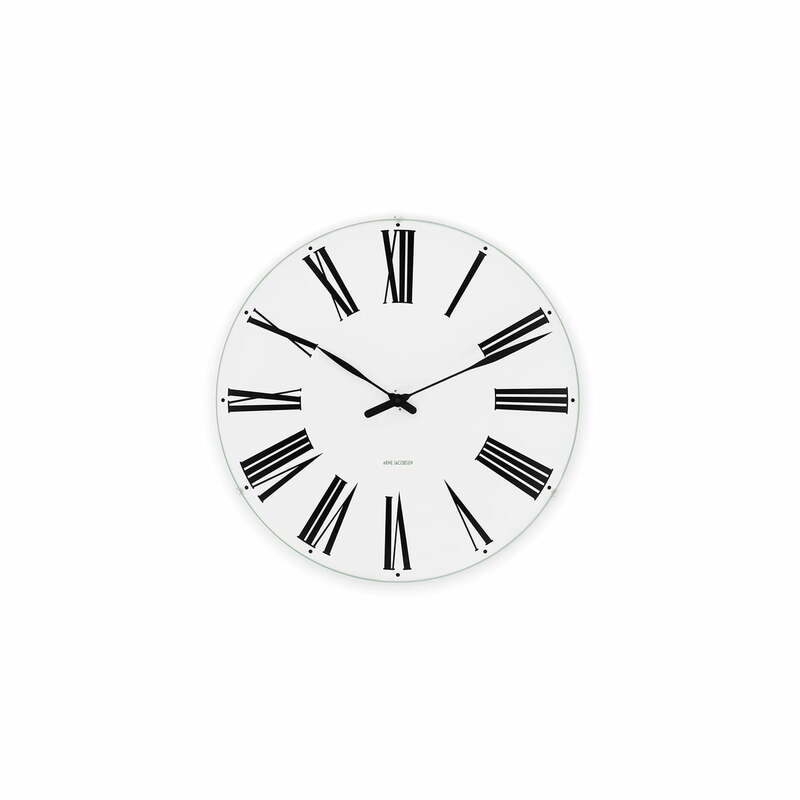 The AJ clocks by Rosendahl embody an interesting diagonal cut on a unique way in the design of Arne Jacobsen along a period of 30 years. The housing of the clocks consists of aluminium and mineral glass. The clockwork came from Japan and is powered by a AA-battery (1.5V).